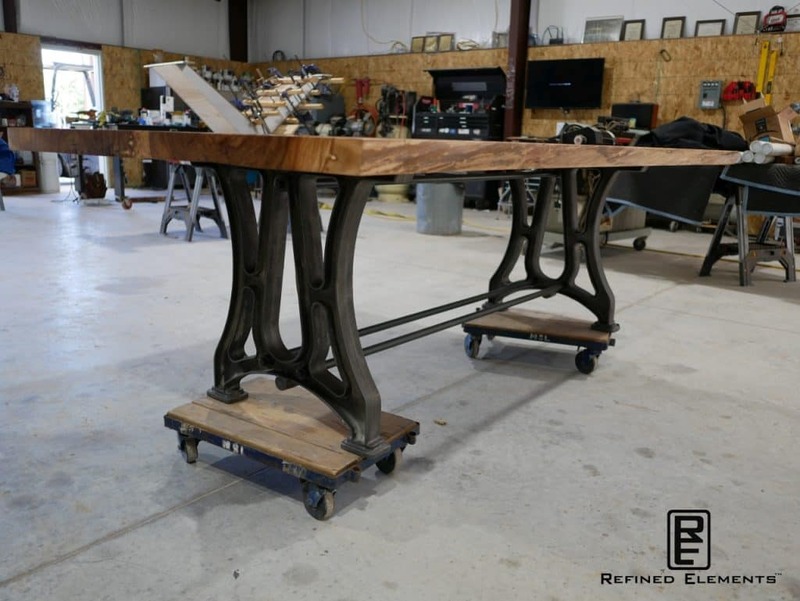 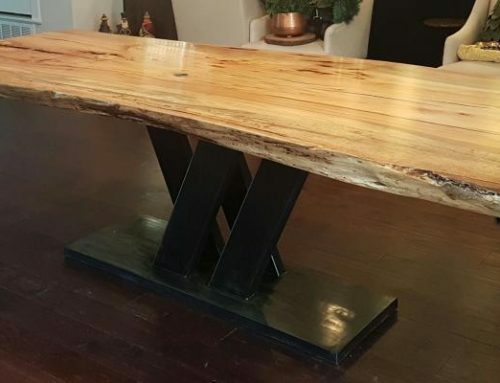 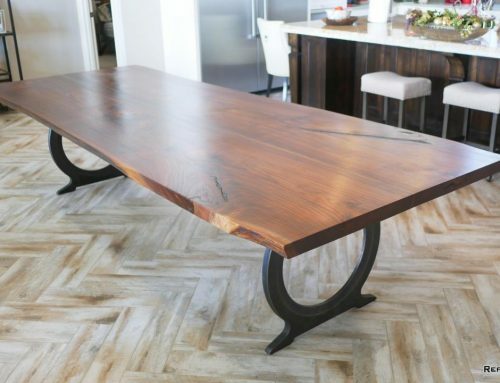 This cast iron pecan table was crafted from a standing dead, salvaged tree near Uvalde, Texas. 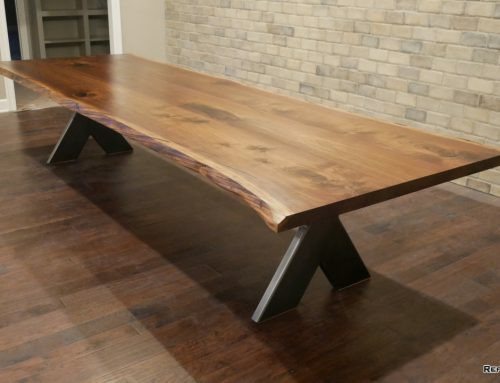 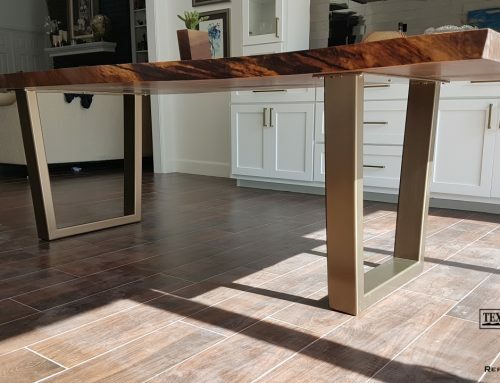 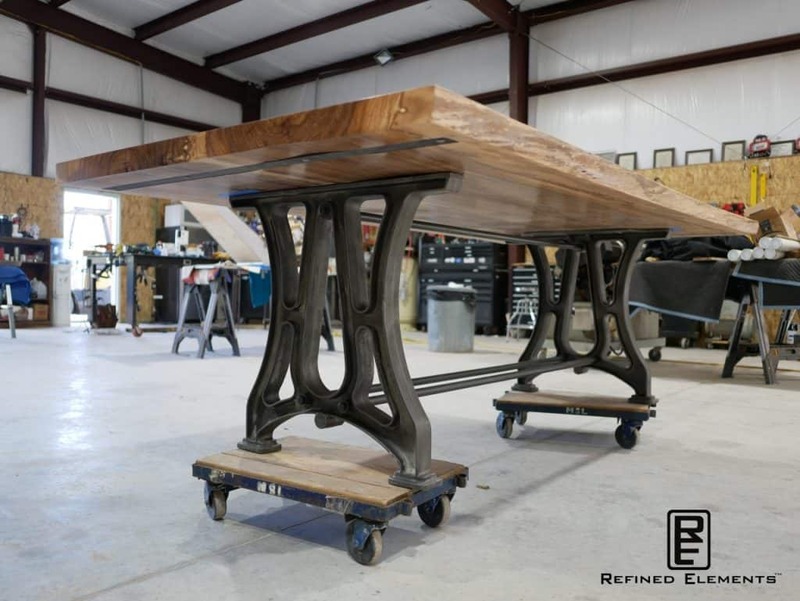 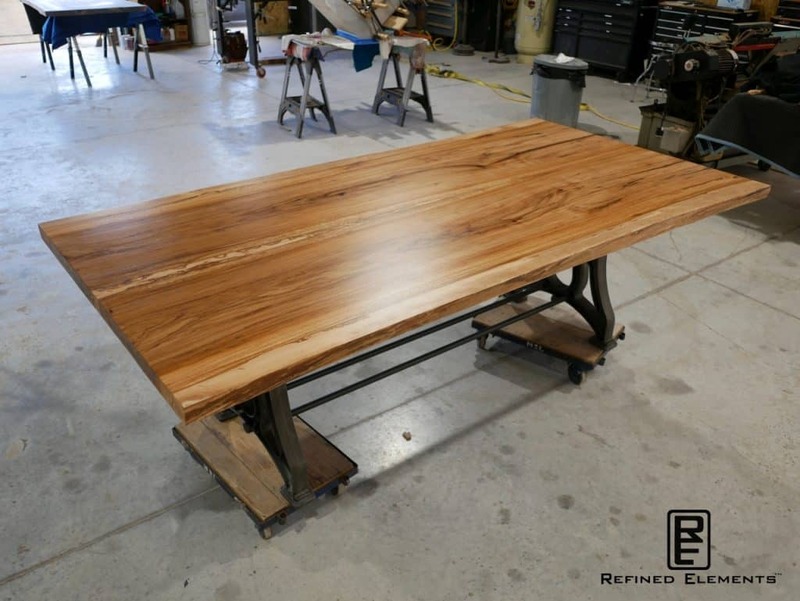 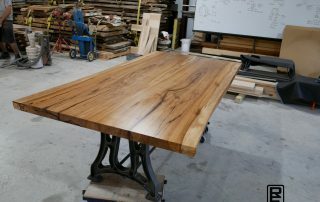 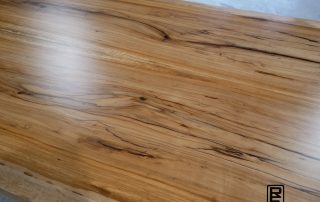 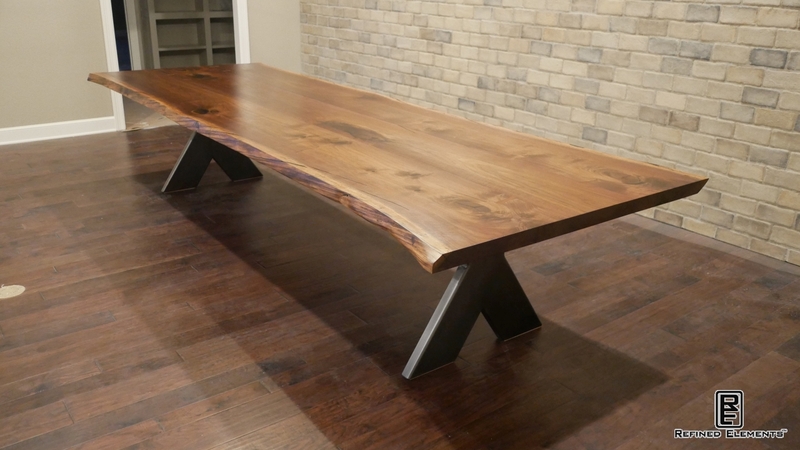 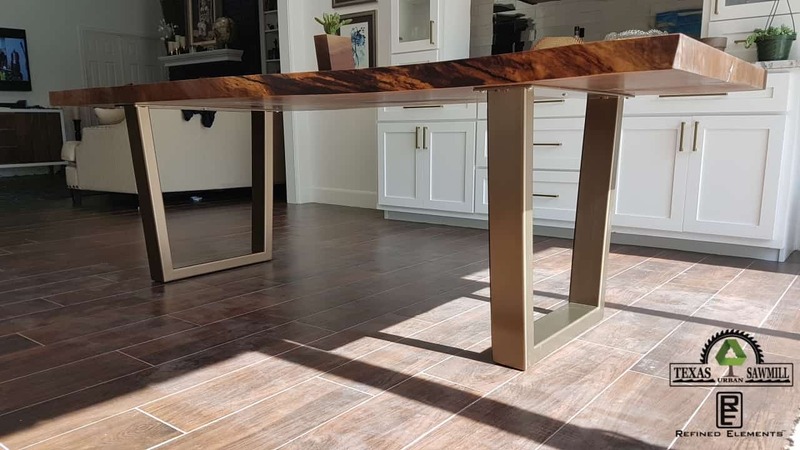 It is constructed as a bookmatched table top which is our specialty at Refined Elements. 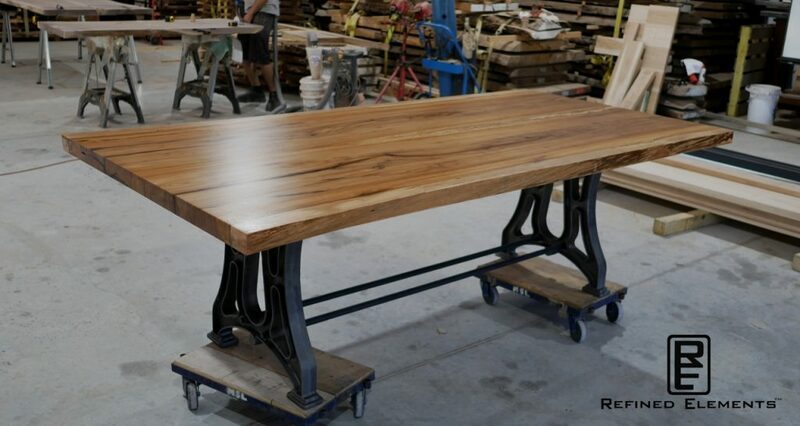 The pecan table top was married with a beautifully designed, heavy duty cast iron base. 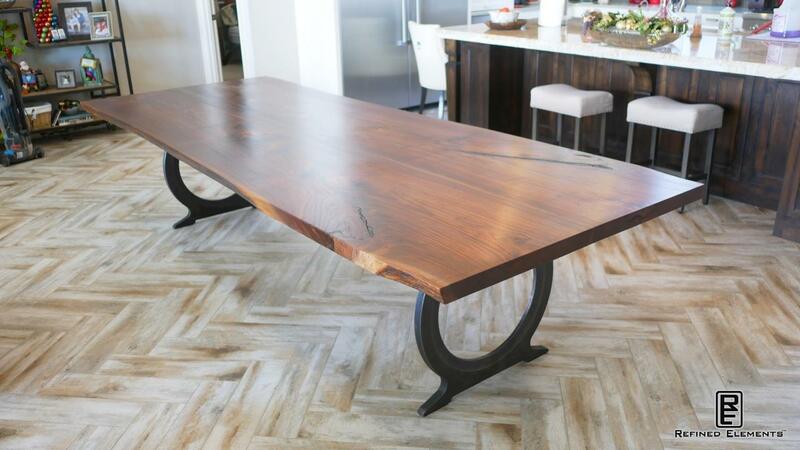 The vintage cast iron base is a perfect combination with our highly figured, Texas pecan wood. 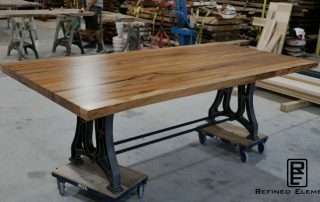 It offers a French industrial vintage appeal with modern aesthetics. 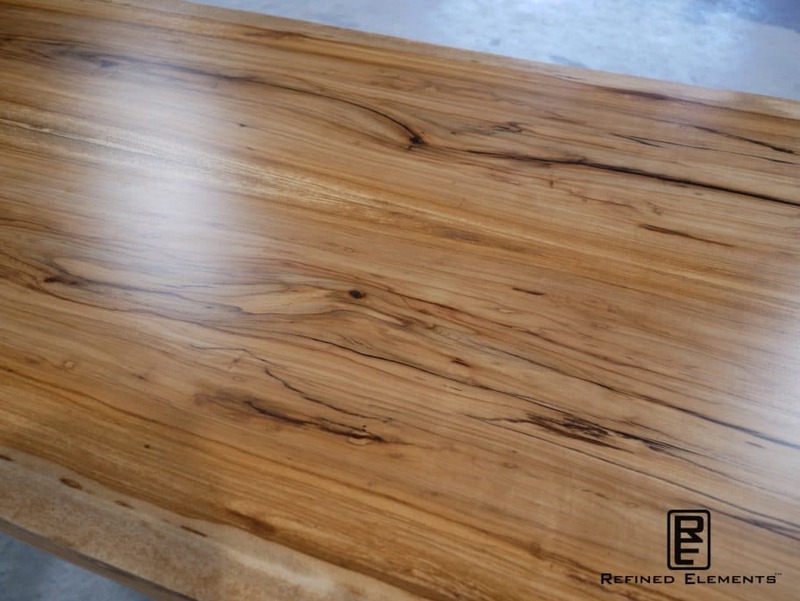 The color of our salvaged Texas pecan is hard to beat! 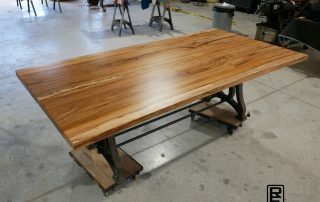 As an aside, we now perform all our tree salvage work and tree re-use projects under our sister business, Texas Urban Sawmill. 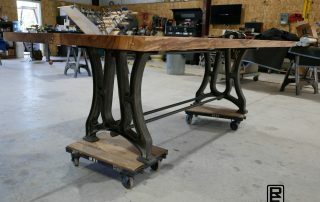 We are the experts in tree re-use in Texas and spend a great deal of time advocating for the increased use of urban lumber across all of Texas. 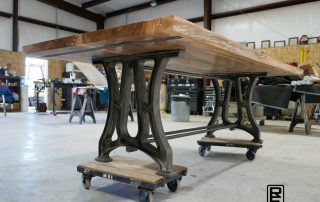 The salvage work was originally completed in 2013. 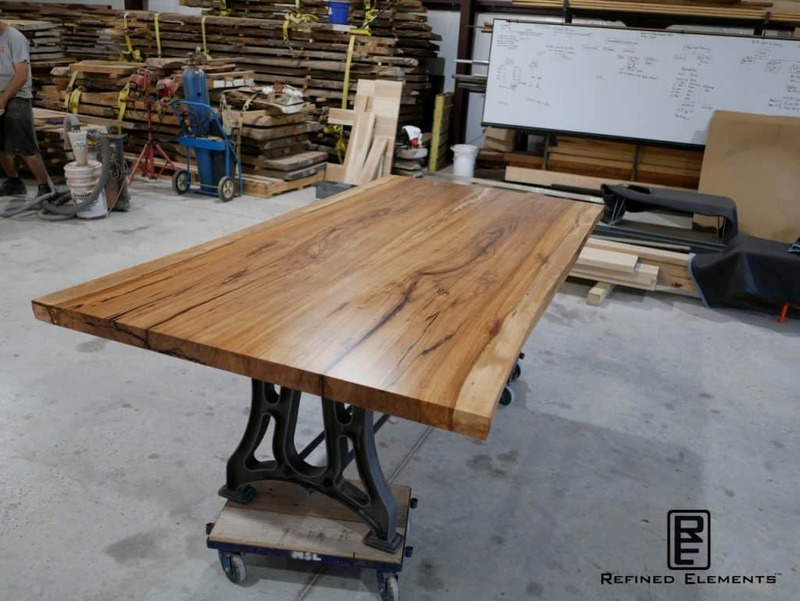 Also, we operate the largest thin-kerf sawmill in the southern United States as we are focused on saving fallen or dead historical trees.